We have got a beautiful manufacturing structure that is undoubtedly world class. The 1,50,000 sq ft robust manufacturing unit is endowed with the latest technologies. Advance Decorative Laminate is the name reckoned with international quality and superlative design. Here creativity and skills are blended together to bring out world-class laminates to beautify every inch of your design space. 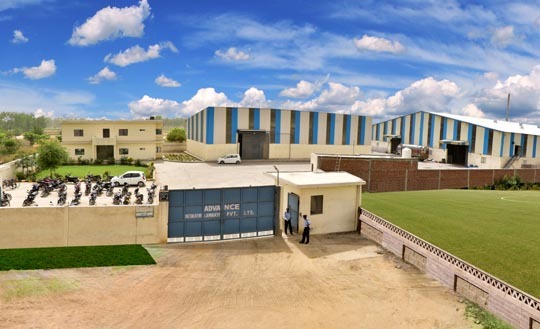 Our manufacturing facility is located in Hapur, an industrial town in North India, 30 km away from the capital city Delhi. 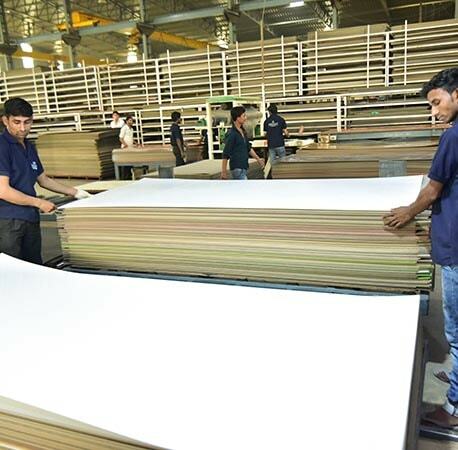 Backed by several years of experience in panel trade, the promoters have set up a state of art facility with the latest machinery sourced from around the globe. The design papers and finish moulds are sourced from Europe to bring international quality designs and standards to our clients. We have committed ourselves to uphold the highest manufacturing standards which have earned our manufacturing facility the ISO:9001, ISO:14001 and ISO:18001 certifications.